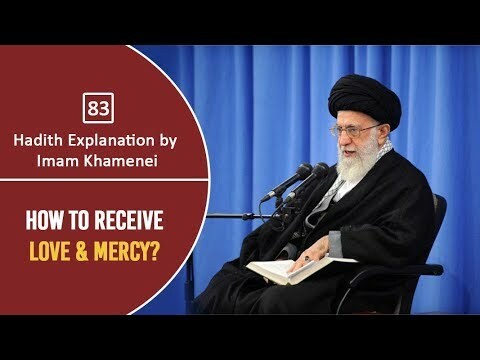 A Christian Martyr\'s Family Visited by Imam Khamenei The tradition of visiting the families of the martyrs is a tradition that the Leader of the Islamic Revolution kept alive since at least 1982. Every year he visits the families of a number of martyrs. These martyrs are not limited to Shia Muslims only; rather he visits many Sunni families and even the Christian families. This videos clip shows glimpses of his visit to the parents of a Christian martyr. 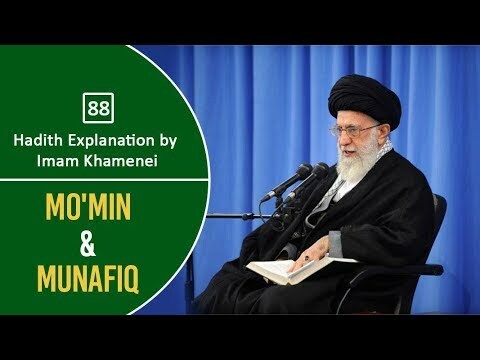 Hadith Explanation by Imam Khamenei | Swallowing Anger Ayatullah Khamenei explains a hadith of Prophet Muhammad (S) regarding anger. What are the negative impacts of not controlling the anger? Who is the best of the people in the light of this tradition? It was an ill-fated day 50 years ago when an assassin shot former President John F. Kennedy. The president was traveling in a motorcade with his wife Caroline in Dallas, Texas in 1963. He was pronounced dead at a nearby hospital. Lee Harvey Oswald was accused of the crime and he was later shot and killed by Jack Ruby. Oswald never stood trial. Since that time, speculation has swirled around why Kennedy was targeted. It still haunts journalists who reported from the tragedy. Kennedy was the 35th US president. He was assassinated almost three years into his term. For many, he\'s left behind an unfulfilled promise. But Kennedy did leave behind a legacy of tradition that is being remembered for generations. This week, President Obama remembered his predecessors memory at Arlington National cemetery. He laid a wreath at the grave site with former President Bill Clinton and relatives of the slain president. Mr. Obama was accompanied by Ethel Kennedy, the wife of Robert Kennedy. Earlier in the day, the current president carried on the tradition of presenting a medal of freedom. A tradition started by Kennedy that he never lived to see. President Kennedy\'s legacy lives on despite the tragedy that cut his life at 46 years old. There are many who have theorized that his assassination was part of a conspiracy plot. But the real truth surrounding the former president\'s death may never really be known. 10. We used to regard many areas as too essential to the public good to be commercialized - they were protected by tradition and regulation. Now everything is becoming fair game in the private taking of the commons -- land oceans air water education health energy and social assistance. Where do we draw the line. A terrible day to be on the side of Western-Israeli secularist fanatics and colonialists. Is Lebanon becoming a part of Iran, or is Iran becoming a part of Lebanon? What fellow Western secularists fail to understand - because of our long tradition of supremacist inspirations - is that what unfolds today from the Persian Gulf to the shores of the Mediterranean is one soul in two (and more) bodies. Media of all sides has speculated on President Ahmadinejad throwing a stone at Israel as a symbol of sympathy to the Palestinian intifada - a chance some Israeli officials have called to be used to assassinate the representative of the Iranian nation. But with a welcome like this, isn't the stone already thrown, not only at Israel, but also at their mates in the US and EU? For over 1,400 years, Muslims have been performing the pilgrimage, or Hajj, to the sacred site of Mecca. In modern times, approximately two million Muslims make the pilgrimage to Mecca each year, a trip required of all Muslims at least once in lifetime if they are financially and physically able. During the Hajj, Muslims from all over the world come together for a few days to participate in common rituals, joined together by their shared faith in the most holy places of Islam, the city and surrounding areas of Mecca. As the birthplace of the Prophet Muhammad (p) and the site where he first received Qur'anic revelation, Mecca is a place of great spirituality and tradition. Since only Muslims may enter Mecca, it is a place that few Americans will get to see, which makes this piece especially interesting. Following writer/producer Michael Wolfe, the film documents his second trip or Hajj for ABC News' Nightline. One of the more than seven million Muslims in the United States, Wolfe is a convert to Islam, born to a Christian mother and a Jewish father. Speaking live from the Ka'ba, the Great Mosque in Mecca, in an interview with ABC News' Ted Koppel, Wolfe takes viewers step-by-step through both the physical and spiritual aspects of the pilgrimage, explaining the origins and meanings of the various rituals. Thousands of Turkish Shia braved freezing temperatures to commemorate the death of Imam Hussein on the day of Ashura. They walked through Istanbul streets beating their chests as is the religious ritual to feel the suffering of Imam Hussein at Karbala. The Turkish Prime Minister Recep Tayyip Erdogan attended the commemorations this year, a first since his party came to power in 2002. Erdogan's message was one of unity between Shia and Sunni Muslims, he himself a follower of the Sunni hanife faith. People here told us that although they were in mourning, the Prime Minister's message was one of hope. The former Iranian Foreign Minister echoing this message by calling on Muslims to stand stead fast in the face of those who want to spread havoc in the Islamic world. This perhaps a reference to the latest attack in Iran. An attack the Turkish prime minister strongly condemned. Every year, Turkish Shia reenact the battle of Kerbala as is their tradition, however blood letting is forbidden here. Turkish Shia perform their religious duty by donating blood to the Turkish red crescent. Ashura is an important day on the Shia calendar, and this year it was also acknowledged by Turkey's Sunni leadership. This is a ‘meccan’ surah. In a tradition from the Holy Prophet (saw) it is said that the reward for reciting surah Aadiyat is equivalent to ten times the number who are present in Arafah and Muzdalifa at the time of Hajj. Imam Ja’far as-Sadiq (as) has said that those people who recite surah Aadiyat everyday, will be counted from the companions of Ameerul Mu’mineen (as) and it has also been narrated that reciting this surah daily carries the reward of reciting the entire Qur’an. If a person has many creditors, recitation of this surah will help clear his debts. If recited by a person in fear, this surah brings him to safety; if recited by a hungry person, it helps in his finding sustenance; if recited by a thirsty person, his thirst will be quenched.